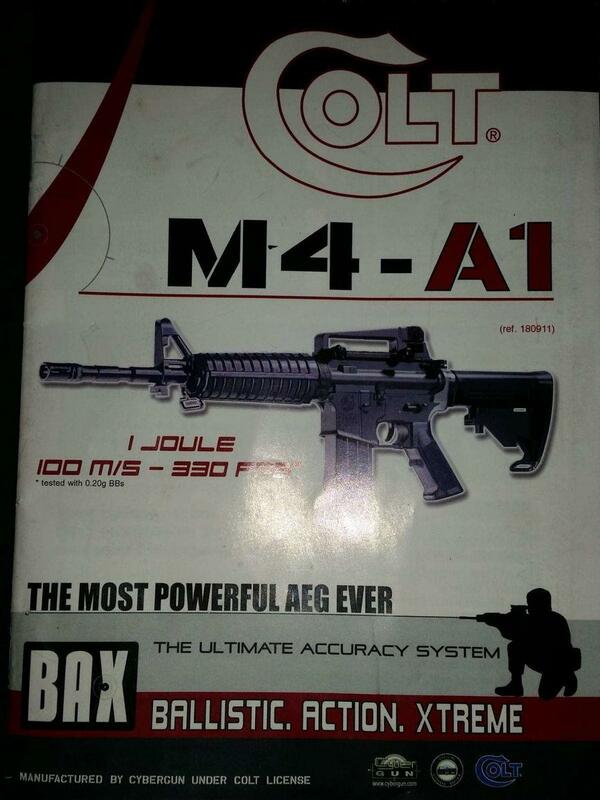 I have had my CyberGun Colt M4-A1 for quite a few years and the other day while shooting I noticed the grip had come loose and it seemed to be affecting the performance of the gun. It kept making horrid noises like jamming and wouldn't fire. I could kind of feel it in my hand while holding the gun. I have stripped it and checked for clogged BBs to no result. 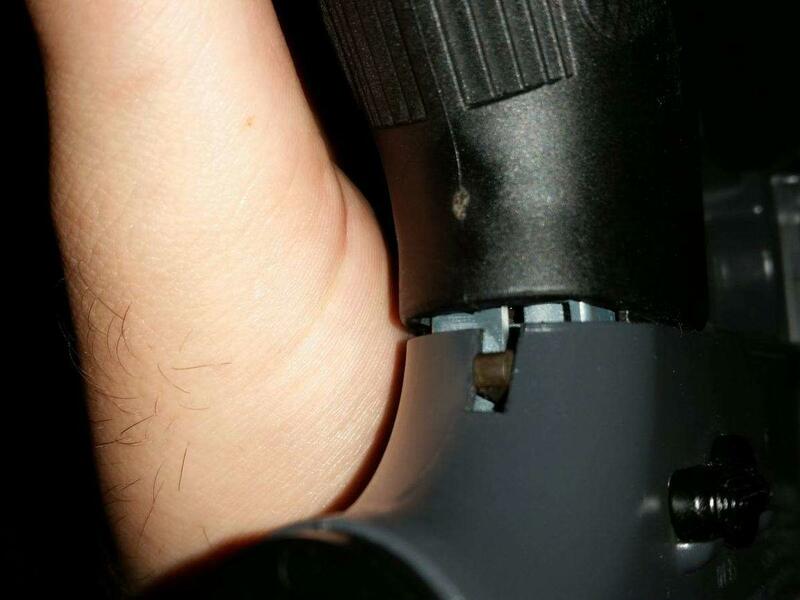 I am convinced that having the grip loose if causing some kind of malfunction within the gun. 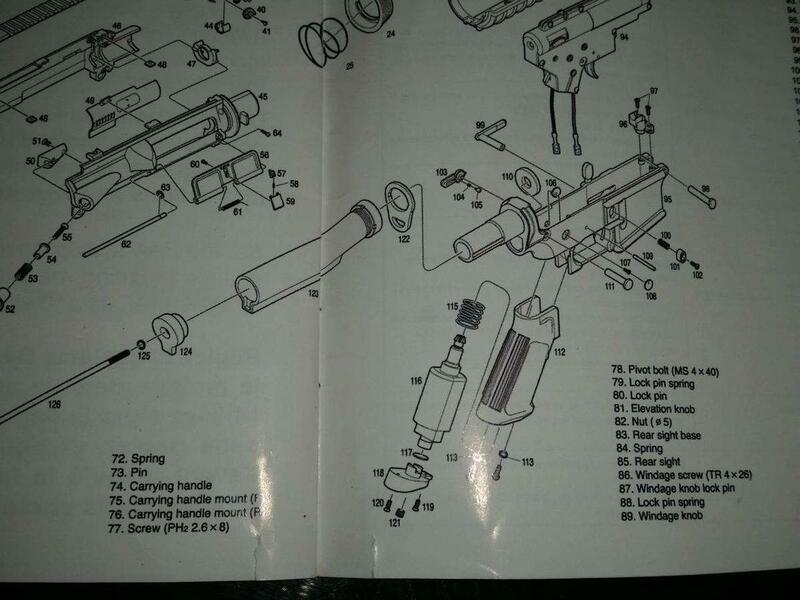 I have attached a photo of the diagram at the back of the booklet and it appears there is a spring in there. Could anyone help me in determining how to fix this please? I have searched throughout the internet for months trying to find information about it, using everything including the reference number but can't find anything to help. Yes - it's making a horrible noise because the motor is in the grip and the screws have come loose. Now the motor isn't meshing with the gearbox gears properly. The more you try and fire it in that state, the more damage you may do to the gears (the teeth on the cogs!). As above. 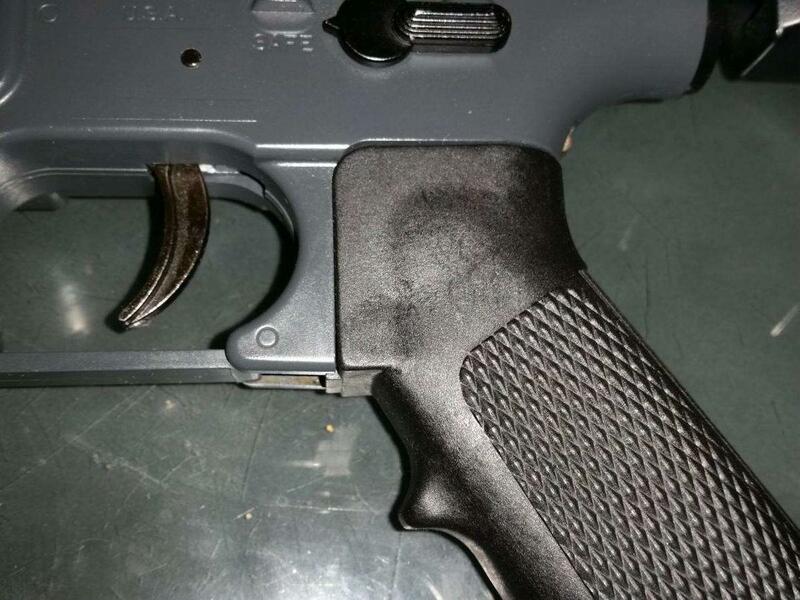 On the bottom of the pistol grip you'll see 3 screws - one at each side and one in the middle (the middle one might be an allen screw). Don't touch the middle one! Undo the ones on either side (119 and 120) with your thumb holding the base of the grip in place (118). The spring in the diagram (115) is attached to the top of the motor and will make the base plate ping off if you don't hold it while removing the screws. Once the screws are undone you can carefully release the base plate. You'll see the motor. Follow the instructions above to get the wires off it, then remove it. Make sure you don't misplace the spacer 117 - it needs to go back in the base plate when you reassemble. 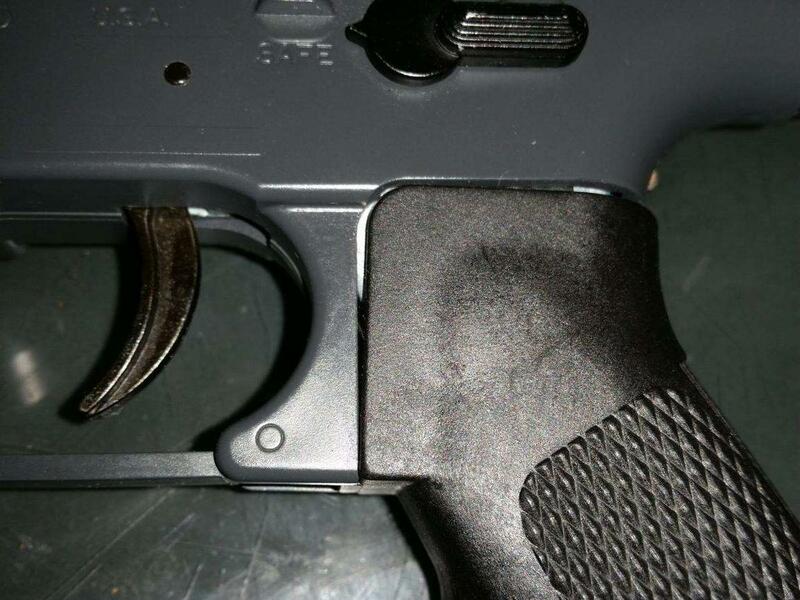 Look down the now empty pistol grip and you'll see the screws that hold it to the gun (113 x2). Tighten these up with a long screw driver, then put everything back together! Plenty of videos on youtube will show you how to disassemble an airsoft M4! I hope "months" is an overstatement!! Thank you for your replies, I will try this out tomorrow. I have been looking for a long time, not continuously but I didn't know it was a generic sort of thing. Sorry for the noob post but I really appreciate your long, detailed replies. I haven't used the gun since it made those noises and I didn't let it do it too much so hopefully it will be ok.
Again, many many thanks guys!